October 31 will be the 500th anniversary of the Protestant Reformation wherein many priests protested the abuses in the Catholic Church. One night when Martin Luther had almost been struck by lightning he decided to become a priest. As a monk he tried serving God in his own flesh. It led to deep depression. Then he was taught that righteousness came from Christ through faith. So, Luther opened himself up to receiving Christ’s Spirit. He felt born again. He let Christ serve through him. On October 31, 1517 he nailed 95 theses to the door of a church in Wittenberg, Germany so scholars could debate how to be saved. However, the theses spread throughout Europe and changed the world forever. Modern democracy was born from these writings because they championed the freedom that comes in Christ wherein every believer becomes a priest and has a right to be heard. This Sunday I’m preaching on “Serve through the Spirit” from Galatians 5:13-26. Luther’s legacy will remind us that when we serve God in our own power it leads to frustration. When we serve through the Holy Spirit we soar on eagles’ wings! We will contrast the deeds of the flesh to the fruit of the Spirit. It’s easy to know if we’re Spirit-filled, because if we are then we’re filled with love, joy, peace, patience, gentleness, goodness, meekness and restraint. So, let’s serve others through the Spirit without grumbling but in pure, Christ-like love! You’ll get a chance to serve through the Spirit Saturday in our workday, starting at 9:00. There will be something for everyone! 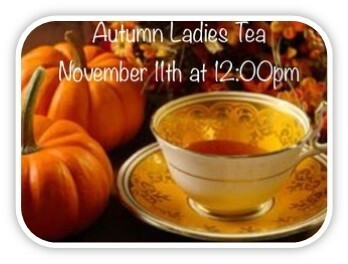 Also, we need you to serve in our Fall Festival October 21, at 10:00. You can come early and help us get ready, you can help run the games and booths, you can help with taking everything down at the end, you can invite people, you can donate items and you can pray for us. It’s a joy to serve through the Spirit! 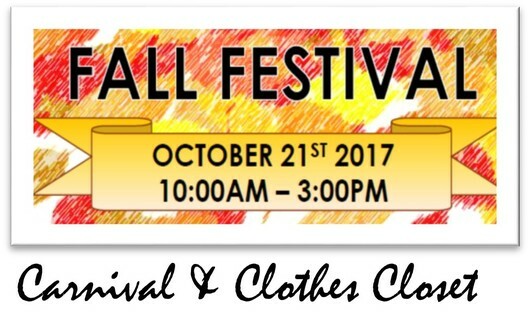 Join us as we work on projects around our campus as well as for the Fall Festival. 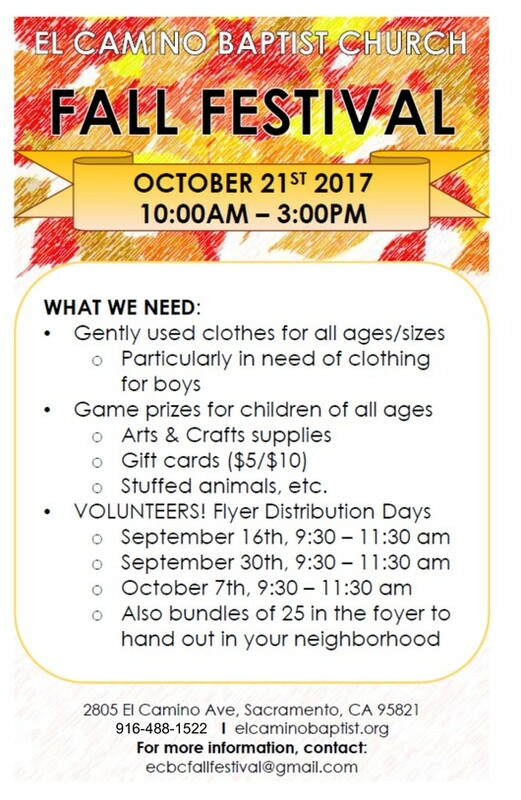 We have need of volunteers for our Fall Festival Carnival & Clothes Closet. Please respond as soon as possible as the event is only a few days away. ►This week's prayer focus: Please pray for more volunteers. We have 128 places to fill.. 34 are filled so far.